The Second Squad reports the arrest of a juvenile for Burglary that occurred on September 21, 2016 in Syosset. The juvenile is being charged with Burglary 3rd Degree and Criminal Mischief 3rd Degree. He will appear in Nassau County Family Court, Westbury on a later date. Syosset, NY - November 2, 2016 - The Second Squad reports the arrest of a juvenile for Burglary that occurred on September 21, 2016 in Syosset. According to detectives, a 15 year old male juvenile and another subject (not yet arrested) smashed the front glass door of Fred’s Barber Shop located at 51 Jackson Avenue, searched through several drawers and a cash register looking for cash. There were no proceeds. After an investigation, detectives arrested the 15 year old defendant at his home on Wednesday, November 02, 2016 at 12:10 pm. 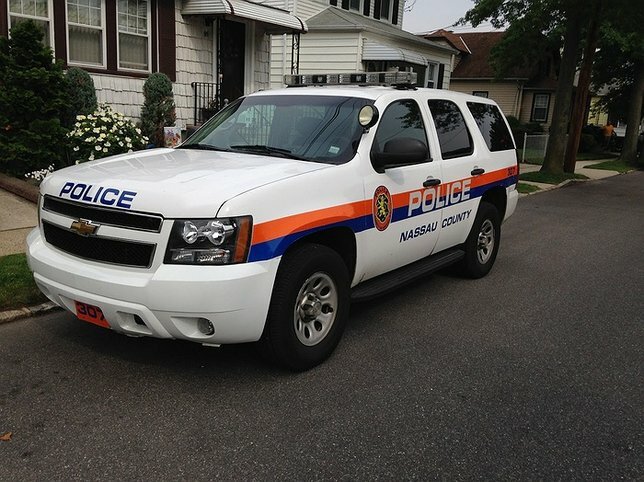 Subject: LongIsland.com - Your Name sent you Article details of "15-Year-Old Boy Arrested for Syosset Barber Shop Burglary"